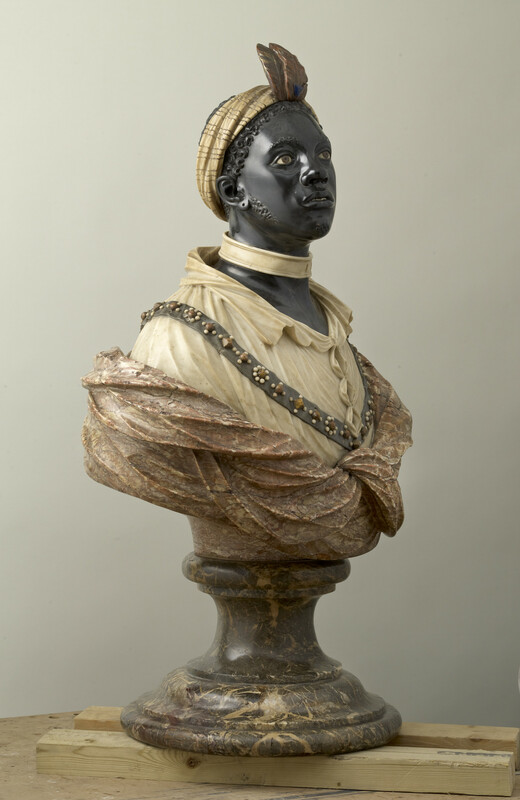 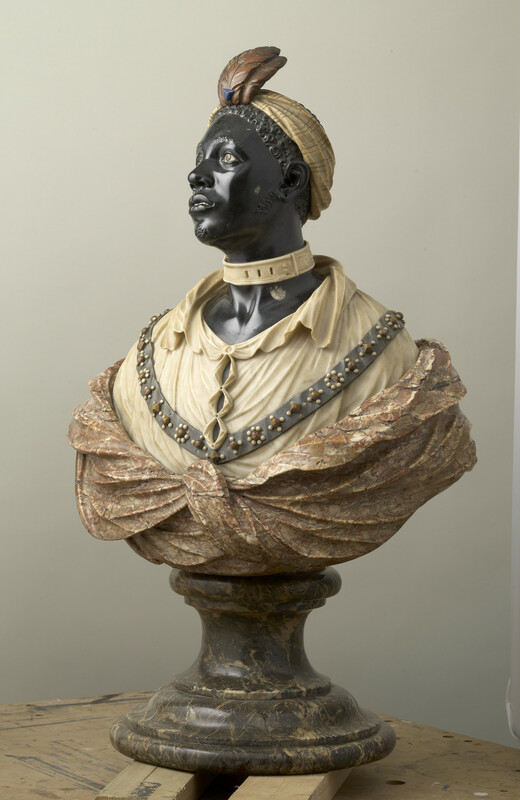 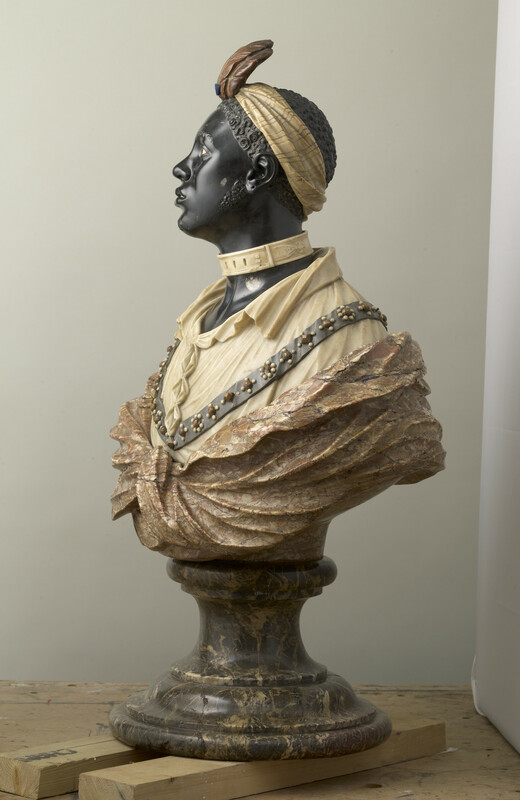 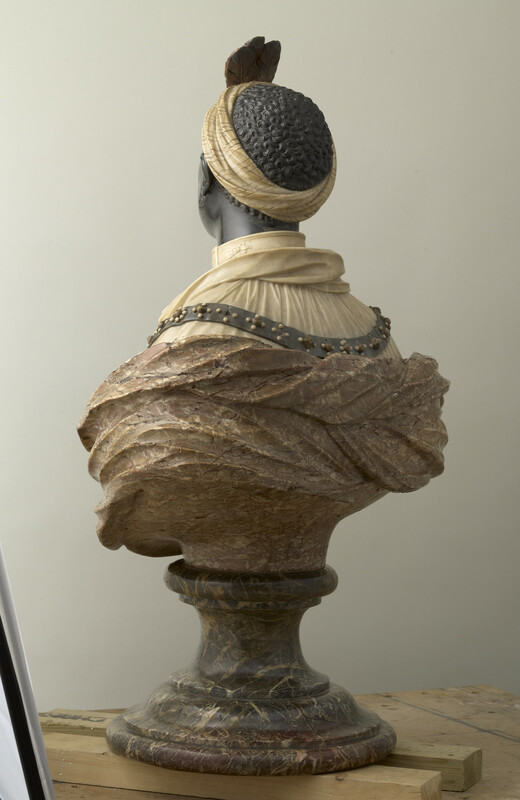 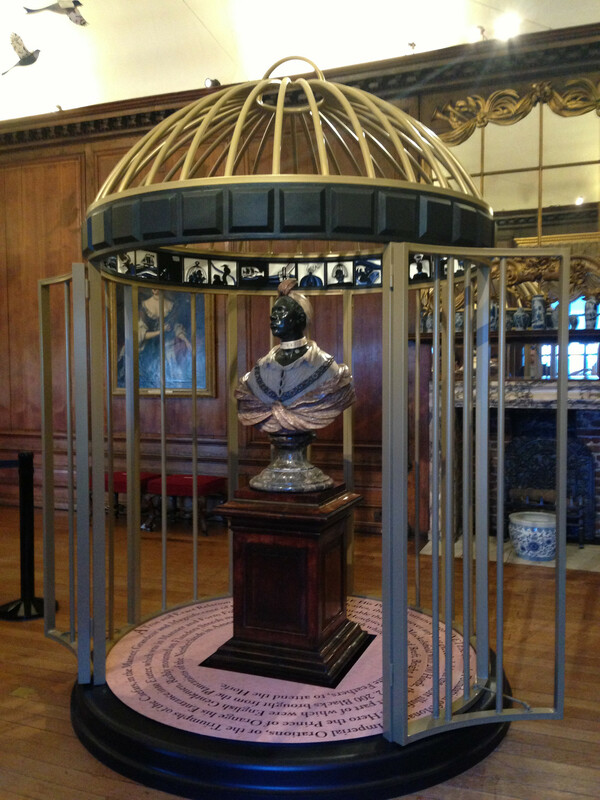 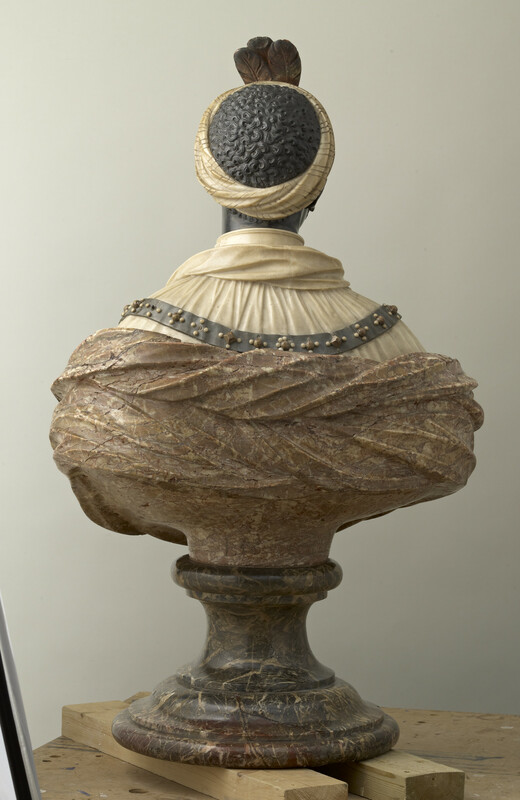 A coloured marble bust of an enslaved man, his head turned and looking up to the left; wearing a turban with plumes, collar about his neck, a shirt with a jewelled collar and wrap tied about; resting on a waisted turned marble socle. 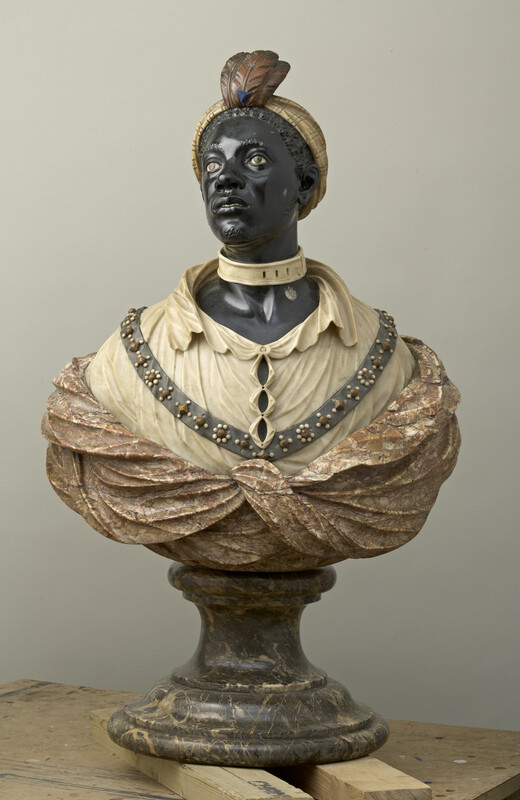 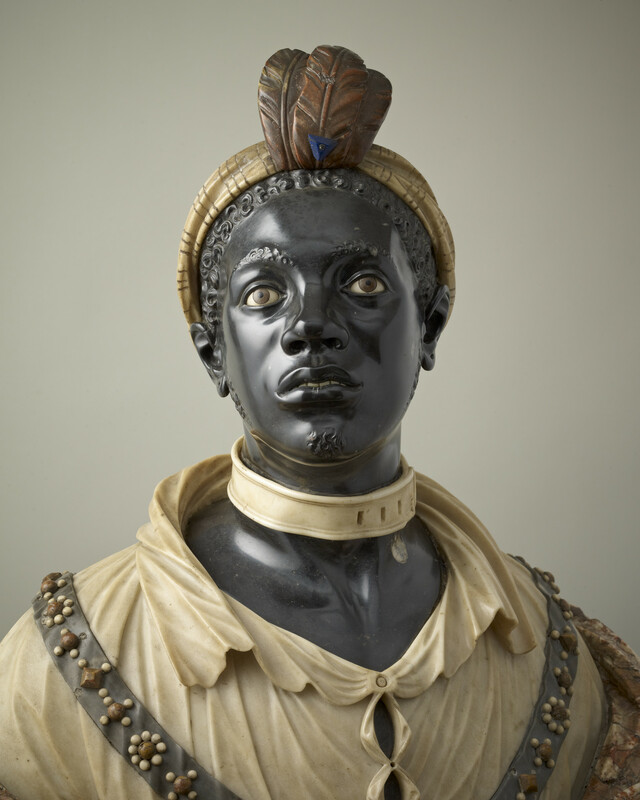 Black servants were frequently found in noble and royal households from the late seventeenth century and this figure has traditionally been identified as a favourite personal servant of William III (r.1609-1702). 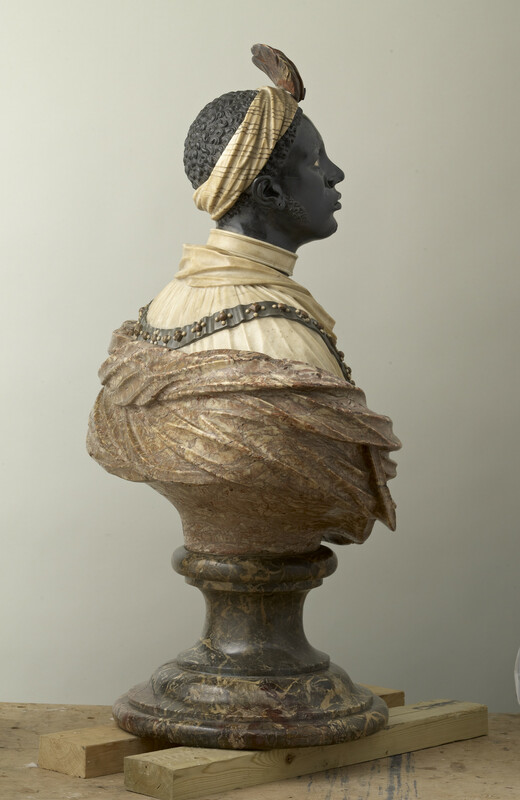 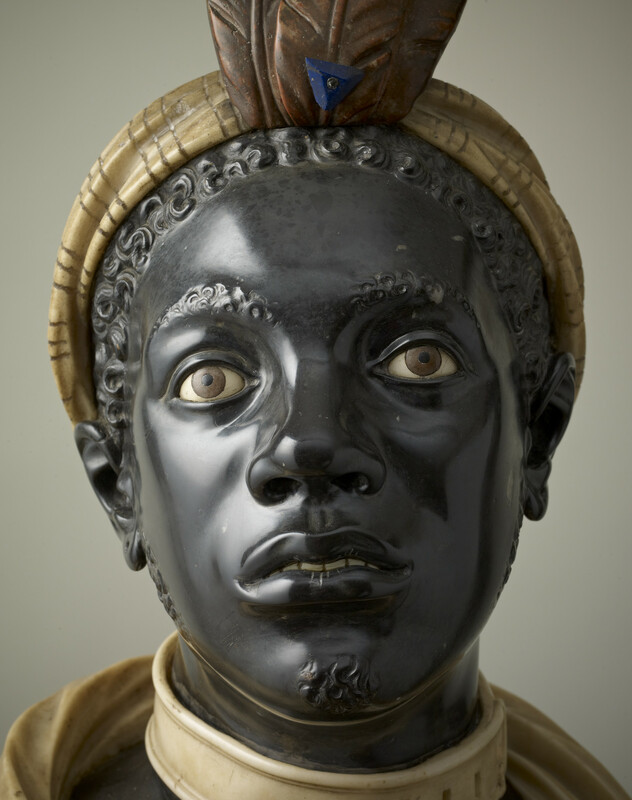 The Moor's feathered turban and jewelled band indicate high, perhaps royal status, but the collar unmistakably marks him as a slave. 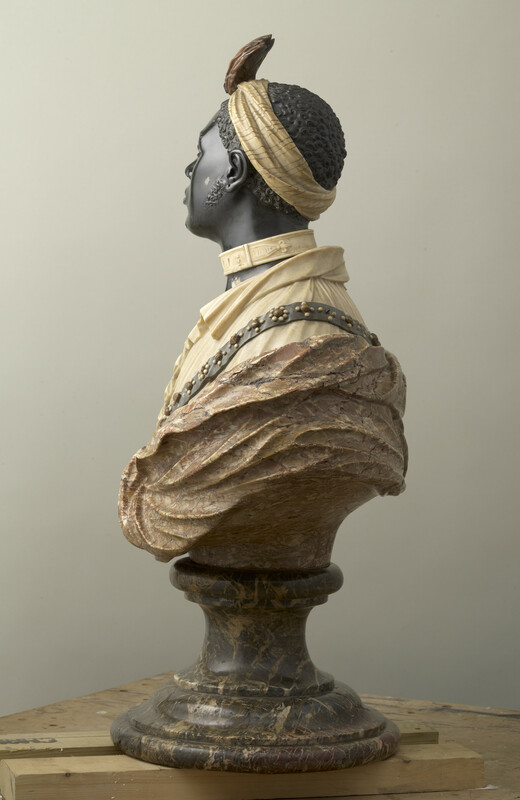 John Nost is best known for carved marble funerary monuments and decorative chimney pieces using exotic marbles.